Apartments feature 1 bedroom with 1 bathroom. 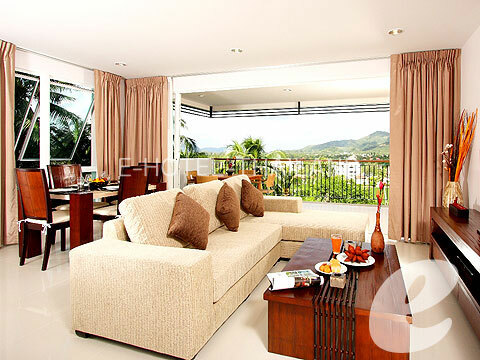 These apartments command spectacular views of mountains or the spectacular coconut tree plantation.The Bedroom has a king size bed and has a large en-suite. 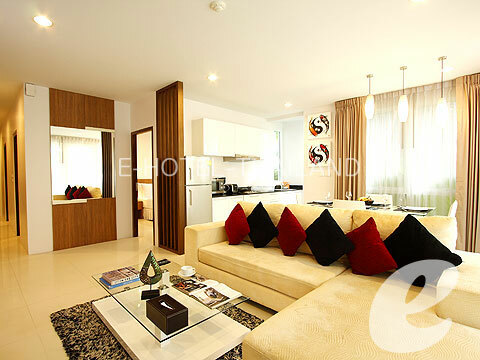 Spacious floor plan of 71 to 75 square meters. 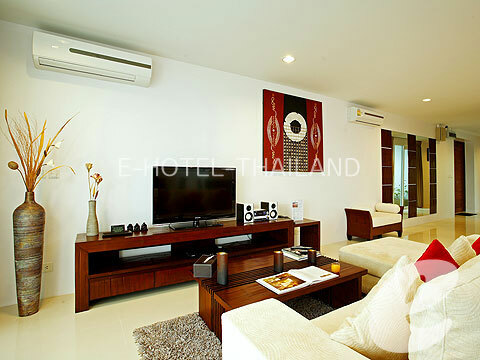 One Bedroom apartments sleeps maximum 2 adults The apartment hase its own fully equipped kitchen and an open living area that extends out onto the terrace where you can sit and chill. 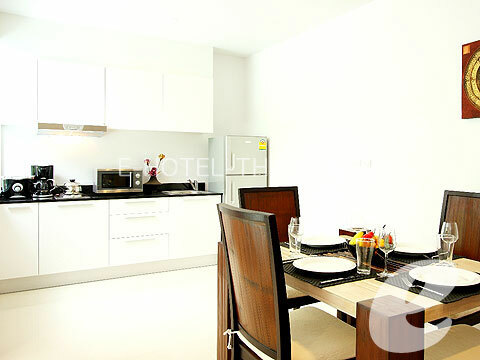 With the generous total area of the apartment entertaining, dining, working, The kitchen also releases you from the strict hotel meal timetable. 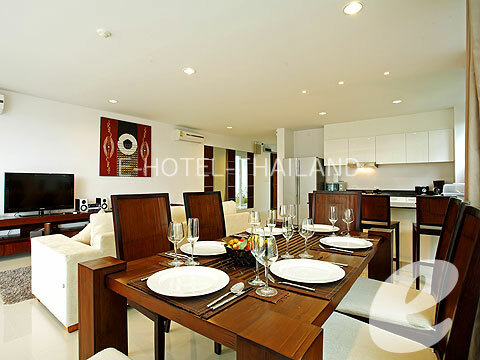 Apartments feature 2 bedrooms with 1-2 bathrooms. 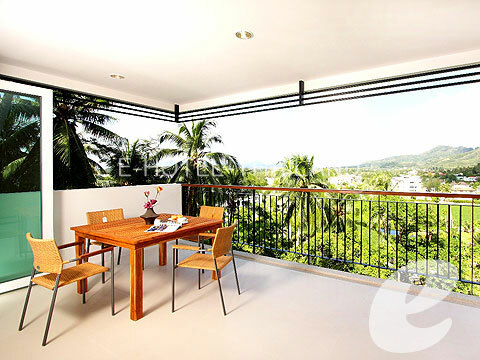 These apartments command spectacular views of mountains of Bang Tao / Surin and also sea view of Bang Tao bay.Type 1 has a king size bed in the master bedroom and a queen size bed in the second bedroom. 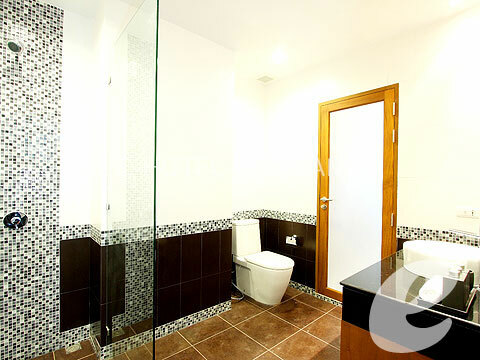 They both share bathroom with each other, however the master bedroom enjoys a direct access to the bathroom. Master Bedroom has its own 32 flat screen TV. Type 2 has a king size bed in the master bedroom and is en-suite. It also has its own 32 inches flat screen TV. The second bedroom has twin single beds and has its own bathroom right outside the bedroom.Spacious floor plan of 90 to 105 square meters. 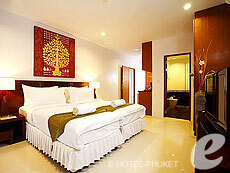 Two bedroom apartments sleeps maximum 4 adults. 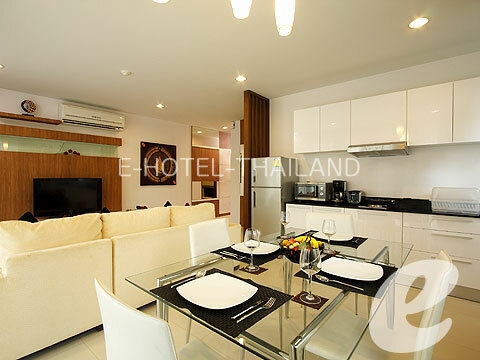 This Apartment features 2 bedrooms and 1 bathroom. 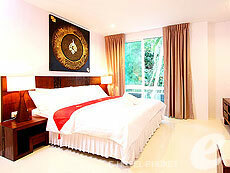 It is situated just a few steps from the pool deck with direct access to pool and restaurant nearby. 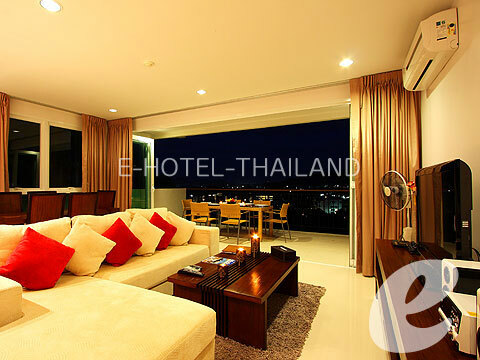 Apartment commands spectacular views of mountains of Bang Tao / Surin and also some sea views of Bang Tao bay.It has a king size bed in the master bedroom and a queen size bed in the second bedroom. They both share bathroom with each other, however the master bedroom enjoys a direct access to the bathroom. 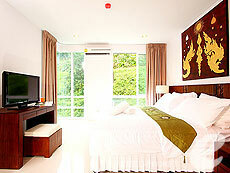 Master Bedroom has its own 32 inches flat screen TV.Spacious floor plan of 90 square meters. 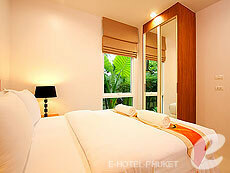 Two bedroom apartments sleeps maximum 4 adults. This amazing top floor apartment features 2 bedrooms with 2 bathrooms, overlooking the swimming pool area with large terraces. 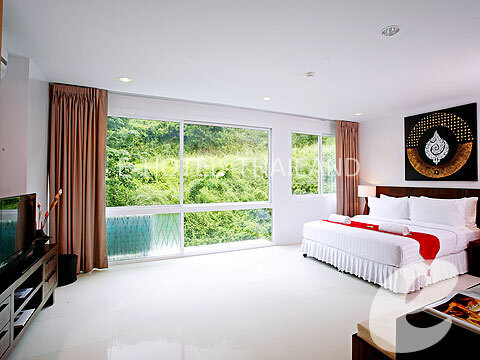 Enjoy the spectacular views of mountains of Bang Tao / Surin and also sea view of Bang Tao bay.Master Bedroom has king size bed and enjoys a direct access onto the spacious balcony. It has its own 32 inches flat screen TV mounted on the wall. It also has its own en-suite. 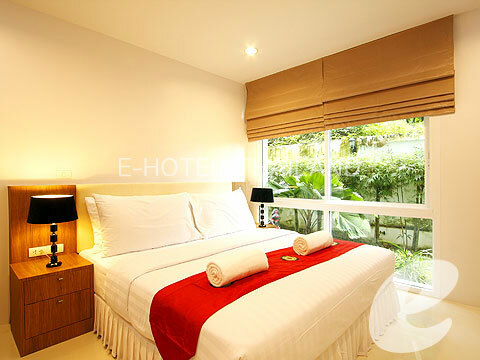 The second Bedroom has twin single beds and uses the bathroom right outside the bedroom.Spacious floor plan of 105 square meters. 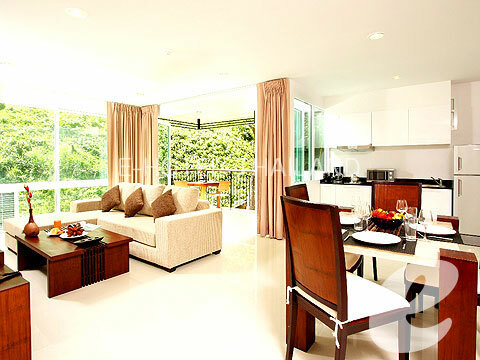 Two bedroom apartments sleeps maximum 4 adults. 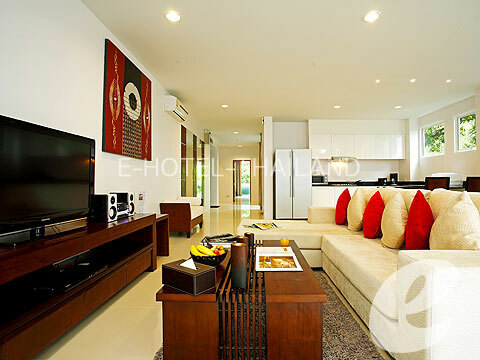 Large apartments featuring 3 bedrooms with 3 bathrooms, two of which are en-suites. 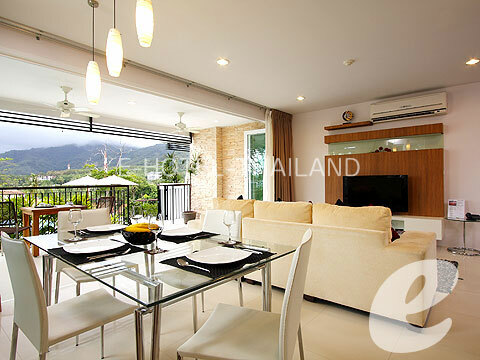 These apartments command spectacular views of Bang Tao / Surin valley and also sea view of Bang Tao bay. 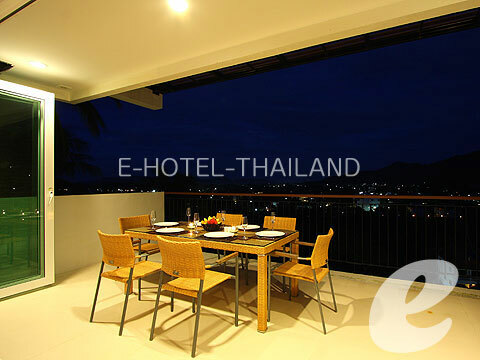 Relax in the Jacuzzi tub on the balcony with a glass of wine in your hand and enjoy both the views and the cool breeze.The apartment has a large fully equipped kitchen and a large dining area to entertain both you and your guests. The Master bedroom has a king size bed and its own 32 inches flat screen TV. The second bedroom has twin single beds and its own ensuite.The third bedroom has a queen size bed and uses the bathroom in the hallway/kitchen area. We can also arrange a private chef and service staff for your party. All you need to do is enjoy. 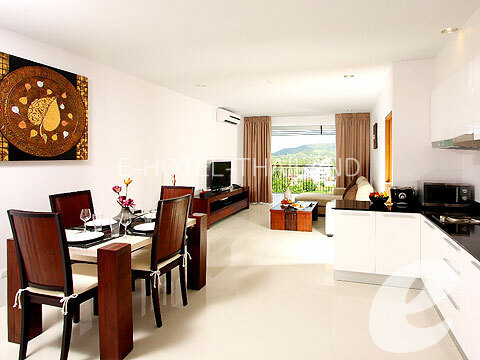 Spacious floor plan of 150 to 160 square meters. Three bedroom apartments sleeps maximum 6 adults.